The European base of Mujahedin Khalq Organization, near Auver sur Oise. in Cergy-Pontoise province, France, has played various roles as the MKO’s headquarters for its armed struggle against Iran, since its foundation under the confirmation of then French government, following its defeat in the partisan civil clashes, the leaders of the organization fled from Iran and the second phase of civil clashes was ordered and directed by the leader from their European base in France. The teams were controlled and directed by phone calls from Paris. The base is now where Mrs. Maryam Rajavi the executive leader of MKO is residing. Therefore it’s another version of “Ashraf in Iraq” called as “Maryam in France”. In 1981 when Masud Rajavi fled to France together with Abul Hussan Banisadr, the base was a small country house belonged to Saleh Rajavi, (Masud Rajavi’s older brother) that became the group’s headquarters. Gradually, the organization bought the neighboring houses by the side of Oise River adding them to the main base after ruining the old buildings and constructing new ones. The walls became taller and were decorated by barbed wires and finally it transformed to a castle or military camp. It is worth to note that regarding the large number of French gens d’armes who protect MKO around the camp, the tall walls and barbed wires are not aimed to prevent foreigners and strangers from entering the camp but to prevent the people captured inside the camp from leaving it. Leaving the camp for the most highranking members is only allowed under the written permission of the group’s authorities. Also leaving the camp alone (without any companion) is forbidden because the members should go out together so as the authorities could monitor them more easily. In Auver Camp (Maryam Camp), as well as Ashraf Camp, the cult special rules are ruling. The isolated location of the cult restricts any contact with the outside world. 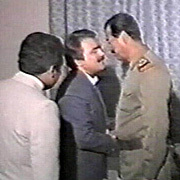 Following the arrival of Masud Rajavi in Iraq in 1986 and the formation of National Liberation army and establishment of Camp Ashraf, Iraq under the rule of Saddam Hussein, Camp Maryam played its role as the second headquarters which supported MKO’s military operations in Iran and controled the group’s forces in Europe.”Maryam Camp” in the Parisian suburb has always served as the group’s headquarters for 27 years and it is now working as an isolated factory which builds robots inside the organization. Therefore the base has always had a vital part for Masud Rajavi for his 5-year residence in France and also 17 years of his presence under the rule of Saddam Hussein and even now that he is disappeared the base directs the military and cult-like line of the organization. The base in Europe has nearly the same role that camp Ashraf has in Iraq and after the fall of Saddam Hussein’s dictatorship the role of Maryam base was multiplied. Maryam Camp in France organizes the internal relations of MKO as well as its external relations and it is charged with anything committed by MKO (either in Ashraf or any other part of the world). 1. The strategic headquarter of MKO for armed struggle and its military arm is NLA (National Liberation Army). The base has always used as the headquarters during the three phases of the group’s armed operations. 2. The safe centre for the organization’s theorique and ideological elements who have the responsibility to determine the cult-like methodology of the cult for manipulation techniques used in Iraq and the West. 3. 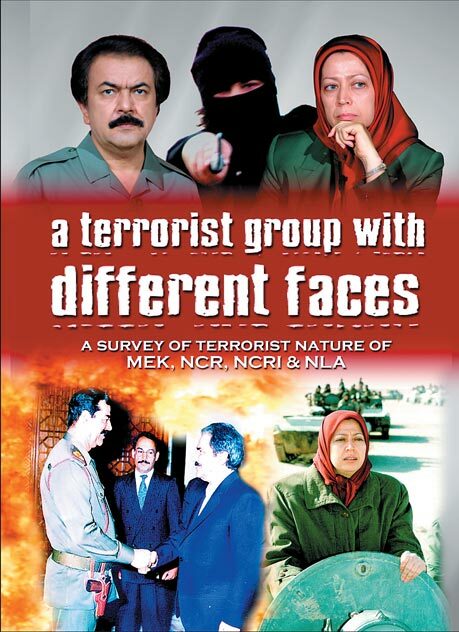 Main political centre and the political cover of the cult: National Council of Resistance of Iran which is used for the democratic gestures of the cult and to neutralize its terrorist face. Rajavi founded the council according to a symbolic and tactical necessity not a democratic principal. The politics are used as a mean to achieve military goals of the organization. 5. 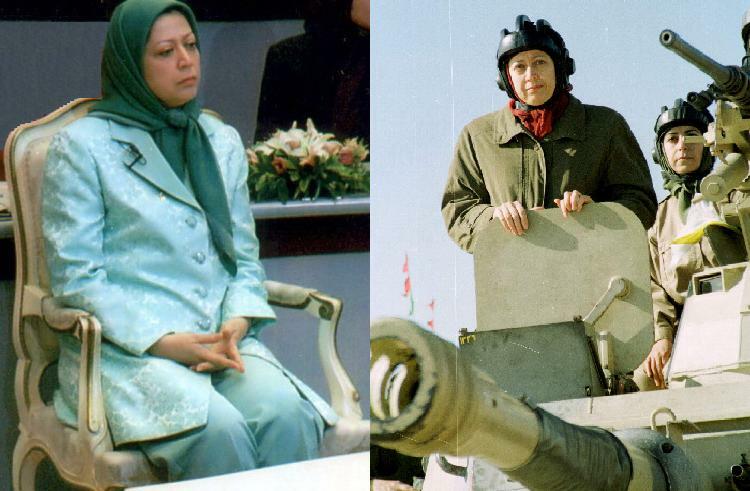 Maryam Base after Ashraf Base is the symbol of MKO’s power in its propaganda, political and diplomatic activities. Thus Camp Ashraf in Cergy-Pontoise, France is similar to Camp Ashraf in Diala, Iraq: a geo- politic headquarters from external view and a manipulation headquarters from internal view. The both bases have definitely destructive effects on their residents and even the neighboring inhabitants. In fact the both bases cannot survive without each other. If either of them, due to any reason, is closed, the other one will be affected immediately. Without Maryam Base in France, MKO is not able to use Ashraf Base’s forces, and without Ashraf- Iraq, Maryam - France is no more effective. In an interview with VOA, Alireza Jafarzadeh, the diplomatic activist of MKO, released some statistics on Camp Ashraf. He raved about the number of Ashraf members as well as entertaining, educational, health, and medical centers therein. Likewise, Mojahedin-run TV is engaged in broadcasting programs on the significance of Camp Ashraf and its residents giving repeatedly cliché, inflated information on the structure and facilitations of Camp. It is evident that the demagoguery is aimed to cover the truth about what really passes within Ashraf under a cover of heavy media propaganda. However, many believe that it is a tactic through which Mojahedin attempt to distract the attention of the public opinion to effortlessly continue with their main job in Auvers-Sur-Oise quarters. As a terrorist cult, the organization has developed sophisticated techniques to twist the mind of its listeners from among a range of sympathizers, advocates and ordinary run of people uninformed of the facts. It well recognizes the effect of propaganda in how to defend peace and freedom by appealing to patriotism, nationalism and humanitarian sentiments to continue with its violent plans. 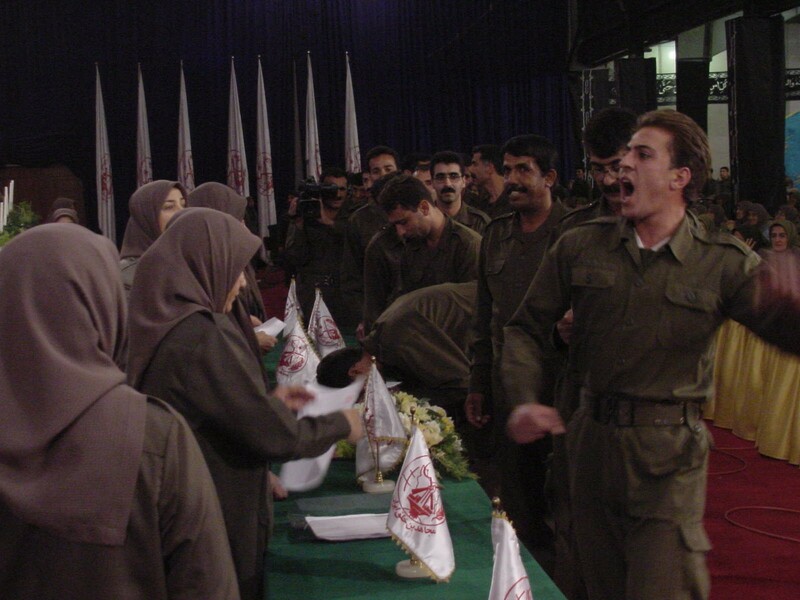 Camp Ashraf is now considered as the mainstay of Mojahedin with regard to the practice of their cultic relations. After the Fall of Saddam in Iraq and the takeover and siege of Ashraf by the U.S. forces, Mojahedin have actually lost the opportunity of using the camp as the command center of plotting and launching over the border terrorist operations. Therefore, it has no strategic significance for the time being and has turned to be a spot merely keeping the cultic relations of the organization ongoing and intact. Now this question arises that in spite of overexposure of Camp Ashraf, why Mojahedin keep silent on releasing the least amount of information on their main quarters in France where the leaders, on whom the survival and life of the cult depend, are residing and making decisions? Interestingly, Mojahedin broadcast the majority of their television programs from Camp Ashraf and refrain to give any information about Auvers-Sur-Oise while almost all their political contacts and activities are conducted from the HQs there. It is much surprising that at a time when Mojahedin petition the West to remove their name from the terrorist list, what really panics them to let a free entrance into their dwelling. What is really different about Camp Ashraf and the camp in Auvers-Sur-Oise with the former being the focus of the media and propaganda while the latter remains off the air. 2. Massoud Rajavi’s interview with Corriere della Sera Daily. 3. Massoud Rajavi’s interview with Deutschlandfunk. 4. Massoud Rajavi’s interview with Italian News agency (Ansa). 5. Gessler, Antoine; Autopsy of an Ideological Drift, chapter 14, DST report on MKO. Stop taking our beloved ones as hostages!